#Wemconf is back and coming to Loughborough! The Conference is now fully booked and our waiting list is open. If you’d like to join our waiting list, please click on the link HERE. The Writers’ Conference is quickly earning the reputation of becoming the must-attend writing event for the Midlands. Renown literary agent, Carole Blake called it a “masterclass” in writing conferences. This one-day conference gives the East Midlands’ writing community access to leading professionals from the industry. Panel events, debates and activities cover a range of writing disciplines including literary fiction, crime writing, poetry and scriptwriting for screen & theatre, and explores topics and trends on all aspects of writing and publishing, from writing in the digital age to pitching your work to an agent. Whether you’re an established or emerging writer, The Writers’ Conference is an invaluable opportunity for you to make new contacts, learn more about getting published, take part in workshops, be guided through the murky waters of funding, and apply to have your work read by a nationally-acclaimed literary agent or critiqued by a professional writer. Tickets include lunch and refreshments throughout the day. Places are limited so book your place early to avoid disappointment. TICKETS FOR THE WRITERS’ CONFERENCE HAVE NOW SOLD OUT! To join the Waiting List, please click on the button below. We will then contact you if a place becomes available prior to the event. Places will be offered on a first come first serve basis. The Writers’ Conference 2016 Programme is here! This year’s programme is full to the brim of inspiring workshops, stimulating panels and opportunities to network, chat and find out about what’s happening in the writing and publishing worlds. Do you want to learn the Art of Shouting Quietly or find out Everything you Need to Know about Grants for the Arts, or unlock the door to your copyright and publishing rights? Click on the link HERE or the programme image to download our programme. 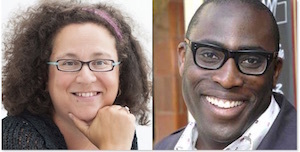 We are delighted to announce our Keynote Speakers for this year’s Conference are Sophie Hannah and Mike Gayle. Sophie Hannah is an unstoppable force in psychological crime, winning the Specsavers National Book Award for Crime Book of the Year in 2013 with THE CARRIER. She was commissioned by the estate of Agatha Christie to write the first Hercule Poirot novel since Christie’s death, THE MONOGRAM MURDERS which was published in 2014. THE NARROW BED is Hannah’s thirteenth novel. Several of her books have been adapted for television. Sophie is also a prize winning poet and short story writer. Her poetry is studied at GCSE, A-level and degree level across the UK. Previously a freelance journalist, agony uncle and features editor, Mike Gayle is the author of fourteen novels and his work has been translated into over twenty-eight different languages. He has made regular appearances on national TV and radio and has previously been a judge on The Costa Book Awards, The Betty Trask Award and WHSmith Book Awards. He lives and works in Birmingham and his latest novel is called Seeing Other People. In his spare time Mike is the co-host of a new book show on Brum Radio. All tickets include the invaluable opportunity to submit your work for consideration for an Agent or Writer one-to-one. These places are limited and highly sought after, and the Writers’ Conference is delighted to have been part of the success stories of those writers who’ve had requests for further work or met their future agent through these meetings. Places are allocated through a submission process for ticket holders, and this will open on the 16th of November 2015 and close on 22nd January 2016. What People said about the one-to-ones. To receive updates about The Writers’ Conference and information on the full programme when it’s available, sign up to the Writing East Midlands e-newsletter from our website www.writingeastmidlands.co.uk. “There was a real buzz on the day… a terrific choice of venue and first class hospitality, it was a great job all round!” Stephen Booth, novelist. Matt Haig’s moving keynote address talking about his depression and the impact it has on his writing and vice versa. Jon McGregor’s keynote in which he shared his faith in the writing community and the importance for writers to stay connected with one another. Jon’s introduction to The Letters Page journal. Matt Haig’s list of 30 things a writer should know. The Agent One-to-Ones with Carole Blake, Sheila Crowley, Penny Luithlen, and John Jarrold. Duncan Pile, author of The Nature Mage was taken on by John Jarrold on the day. Rob Gee, The Writers’ Conference Poet in Residence, striding the halls of the Portland Building covered in post-it-notes filled with lines of poems, scribbles and thoughts from delegates that went into his wonderful poem at the end of the day. A delicious buffet lunch in the beautiful Atrium of the prestigious Portland Building followed later in the day with tea & cake. Our Books Are My Bag goodie bags filled with notebooks, pens, books, fliers, newsletters, journals and many good things. The chance to meet up with old friends, make new ones and chat to professional writers. editors, agents and publishers. Fantastic panel events including writing in the digital age, funding, everything you’ve ever wanted to ask an agent, young adult fiction, writing in residence, writing for screen, self publishing and many more. REFUNDS AND CANCELLATIONS: Every effort will be made to run the advertised programme, we reserve the right to make changes should this become necessary. In the unfortunate event of cancellation by us, a full refund will be made. Refunds are not normally made in other circumstances. In exceptional circumstances consideration will be given to a request from a ticket holder who wishes to cancel. If a refund is agreed, a £10 administration fee will be charged. Agent and Writer one-to-ones: Please note that simply booking for the Conference does not guarantee you an Agent or Writer One-to-One, as places are very limited. All applications will be read by the Writing East Midlands team and will go through a selection process. Unfortunately we don’t have the resources to offer feedback on submissions. Refunds will not be given for delegates who request one due to not receiving an Agent or Writer one to one. PRIVACY: Writing East Midlands Ltd takes the privacy and security of our customers very seriously. We comply with the requirements of the United Kingdom Data Protection Act 1998 relating to the personal information you supply on this site. We do not sell, release, rent or share any customer information and will not do so unless required to by law. Contracts between you and Writing East Midlands are governed by English Law. ONLINE SECURITY: Secure servers offer to Writing East Midlands’ customers the highest level of security when entering credit card details over the Internet. All credit/debit card purchases are subject to the normal validation checks and authorisation procedures adopted by the card issuer. Any refusal by the issuer of any payment card to authorise the payment to us, for any reason, will not render Writing East Midlands liable for any delay or non-delivery. The Writers’ Conference is brought to you by Writing East Midlands in partnership with Loughborough University. Supported by Arts Council England and ALCS.